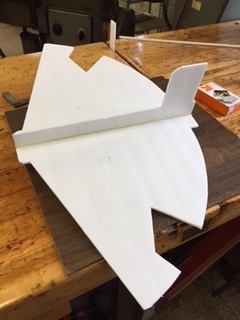 Yesterday I was given the task to cut out, by hand, 2 models of the UAV for my work-study project. I had to cut them out by hand because the other machine tool that was tried, a water jet, wrecked the material the models are made out of. This is because the material is foam with paper glued on either side. 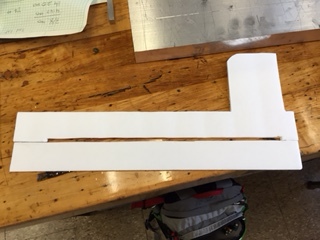 The water jet melted the glue, causing the paper to separate. 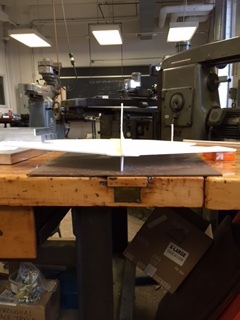 The paper is needed to help with the structural strength. So, I was given the job. It took a while but I got it done. 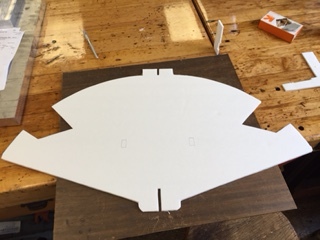 Today I went back into the lab and, using wood glue and toothpicks, I put together one of the models. Below are pictures of the individual foam pieces and then them put together.